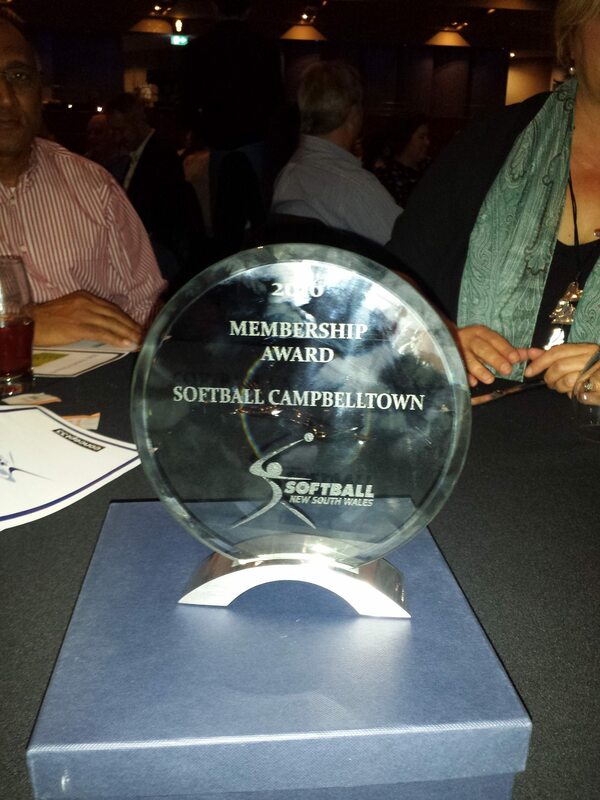 Softball Campbelltown won the trophy for membership growth at the Softball NSW annual dinner held at Rooty Hill RSL in September 2016. The membership award was in recognition of the massive growth in our membership during the 2015/2016 season. We also won a finalist award for the association that had achieved distinction with member development during the 2015/2016 season. This was in recognition of the wonderful achievements Softball Campbelltown has made in the development of local players, reps, and officials. Everyone at Softball Campbelltown can be very proud of what YOU have achieved.